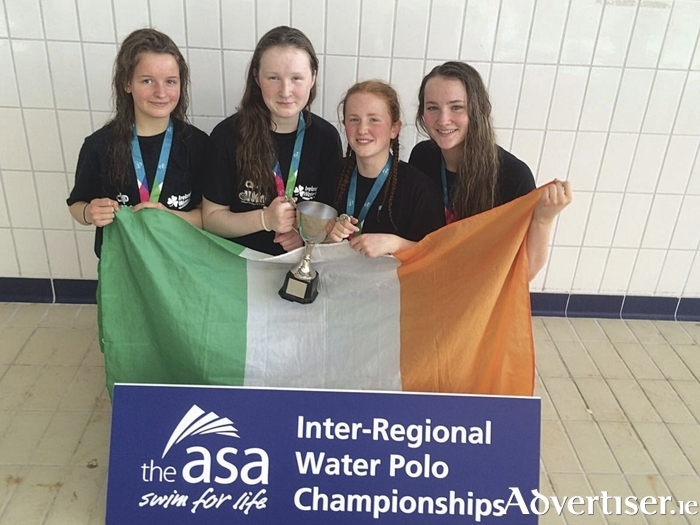 Four Galway girls from local water polo club Tribes were part of a historic International Irish team which won gold in Liverpool. This was the first time the Irish U16 team has won this event which features teams from England, Scotland and Wales. Despite an early loss to England's North West Thunder team, Ireland followed up with three wins to lead the table in the group stages. They then produced a faultless performance in the semi-final against England's South East team to book their place in the final where they faced England's East Angels. Ireland edged ahead in the second half to win by one goal to win Ireland's first gold at this competition.